I think the latter is the more important question to ask. My short answer…all of us. As musicians who play the harmonica, there is always room for improvement. Now let me explain. Music lessons can be very detailed experiences where the teacher spells out everything you need to do sort of like in a checklist style or they can be free wheeling with a basic plan and the teacher and student both drive the lesson. I think younger students benefit from the first way when starting out. This could help ward off bad habits that will slow progress later. As I got older I would find specific areas I wanted to work on or a particular solo or scale etc. By the way I still to this day take lessons! I seek out those musicians who are doing what I like and who I feel would be able to communicate the information needed. And now the digital age enables us to take lessons in person through Skype and also there are lot’s of websites that have online “schools” where the instructors have loads of prerecorded lessons. Personally, I do it all. I meet with instructors in person at their teaching studios, over skype and I also am a member of Howard Levy’s online school at ArtistWorks.com. Let’s take a look at In person lessons. Music lessons with the instructor sitting in front of you are invaluable because if you get instant feedback on your playing. They can see your technique up close and suggest adjustments. This goes the same with sound. Sitting next to you your instructor is able to listen to your sound and make suggestions. All in all I feel the one on one in person lessons can’t be beat. What happens when your favorite instructor is not available or lives far away? These days that’s not so much of a problem. 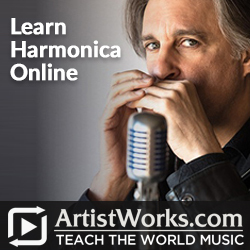 With Skype and other types of video conferencing apps and websites your favorite harmonica teacher is just a click away. I have found Skype lessons are great but they do have to be approached in a slightly different manner than if the teacher was sitting next to you. First of all your teacher can only see what your camera is pointing to and the lighting also makes a difference. The other aspect is sound. While it’s getting better, the sound transmitted through the web is not the same as in person. I have found that in most cases this isn’t an issue as the sound over the web is still pretty good. Overall, if you can’t be there in person Skype lessons are a great way to go. Incidentally I offer Skype lessons. If you are interested send me an email at joe@harmonicajoe.com and we’ll work out a time to get together. Ok what if you want to take lessons from someone famous or is on the road all the time and you can’t get on their schedule? This is one of my favorite web developments! Many players and teachers are working with the various online “schools” and posting recorded lessons. They typically have loads of short 5-10 minute videos for each topic and you simply watch and learn at your own pace. This has worked out great for me. I have been a member of the Howard Levy Harmonica School for several years and never fail to find tremendous value. In addition, You can send a video to Howard with an example of your playing and he will personally answer you back with a video of his own showing you how to improve. Before Howard had his online school I contacted him asking about lessons and while I though his price was reasonable I just couldn’t make it affordable to get out to Chicago for lessons. I am thankful he decided to partner with Artist Works! I wouldn’t promote this if I didn’t actually use it myself for several years. Click the ad for more information. So the rest is up to you. 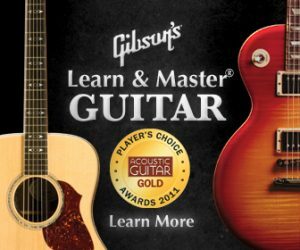 Try all of the types of music lessons described here and decide what works for you. I think you’ll find that a combination of all three will be the most beneficial.